A Facial Or Filling In Daly City? At Kenneth Hovden DDS, we know that we can’t completely fool you. 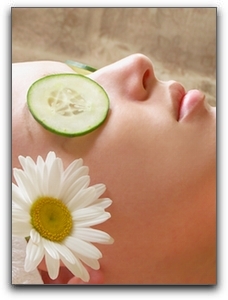 When you receive treatment at our comfortable cosmetic dental practice, you won’t actually believe you are at a plush San Francisco spa relaxing with cucumbers over your eyes. Just because we can’t recreate an identical Daly City spa experience, that doesn’t stop us from trying. We have a full-service dental comfort menu for our Daly City cosmetic dentistry patients. Are you in need of tooth restorations, teeth whitening, orthodontic solutions, or just a thorough dental cleaning in Daly City? Enjoy a luxurious dental spa experience at Kenneth Hovden DDS without paying extra. Schedule gentle dentistry today by calling 650-755-6000. Recent appointment was for cleaning and it was a very pleasant and easy experience. Learned new tips for better cleaning in my back molars. I have referred friends, co workers, and patients of my own to Dr. Hovden, and they have been just as pleased as I with their experience! Always the best, that’s why I come all the way from SF (and El Cerrito!) to see you! Dr. Hovden & staff are very professional and personable! I’ve never had to wait more than 5 mins. We have been using Dr. Hovden as our dentist for more than thirty years and would highly recommend his dental practice to others. It’s always good to know that I’m receiving good dental care when I see Dr. Hovden. Have been going to him for years. He and his staff are very professional. Best dental services I have ever had. Friendly office, great experience! PerioSciences has developed the market's first oral care line of products based on the power of antioxidants. Ask us how PerioSciences can refine your oral health. Daly City dentist Dr. Ken Hovden offers excellent cosmetic dentistry, dental implants, restorative dentistry, general dentistry and sleep apnea treatments in the Greater Bay area including San Francisco, Daly City, Pacifica, Half Moon Bay, San Bruno and South San Francisco (South City), California.